My name is Susie Page and I run Pages Poultry with my partner Leon Fallows. We have been keeping chickens for the last 15 years and during this time we have built up a wealth of knowledge that we can now share with all of you. As a hobby that got out of control, we started with 3 chickens! We pride ourselves on our friendly, informative approach and specialise in helping newcomers to the poultry world. A full aftercare service is only a phone call away! Please be aware, this hobby is addictive! 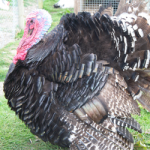 We encourage and welcome anyone to come and have a look, seek advice and browse our many breeds which include many pure breed Chickens, Ducks, Geese, Quail, Turkeys, Peafowl and Guinea fowl at certain times of the year. Our birds are (wherever possible depending on breed) kept outside in the fresh air for you to view. We will give you the best advice possible on the most suitable breeds for your requirements. The birds are all wormed and treated for mites, we will advise you on the best ways to carry this forward and keep your birds healthy. We encourage customers to call for advice if you are unsure how to treat your birds, their welfare is most important to us. Our small holding is based on the Staffordshire / Derbyshire boarder near Burton On Trent in the Midlands. We welcome people to come and have a look around. 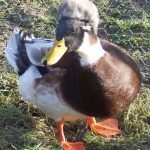 We currently have around 1500 birds to look at, ornamental pheasants, donkeys, pigmy goats and a wide range of ducks. SHOP – We have a fully stocked shop for all your poultry accessories including feed, bedding, drinkers, wormer etc. We will be able to guide you to which products would suit you best so you could pick up all your requirements in one go.. The shop also sells little treats for your feathered friends and nice fresh eggs. You can print off our price list under the accessories and feed tab on the for sale page. 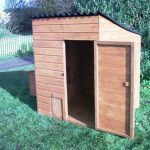 POULTRY HOUSING -Still haven’t chosen your poultry house….We have a wide range of poultry and animal housing available to order. We have examples of the housing on site for you to see the great quality and designs. Prices are very reasonable and will last the test of time. Have a look at the Services Page for just some of the range that we offer. HOLIDAY BOARDING – If you have always worried about who will look after the chickens when you go on holiday, look no further, they can come and have their own little break with us. Please book early as this service has become very popular and we would hate you to be disappointed if we are fully booked. HELP and ADVICE – We are available on the phone between 9am – 5pm to offer help and advice regarding the welfare/health of your chickens. In some instances it is necessary for us to see the bird as diagnosing over the phone can be tricky and we may miss something. Our address is as follows, your to come and have a look anytime during our opening hours.